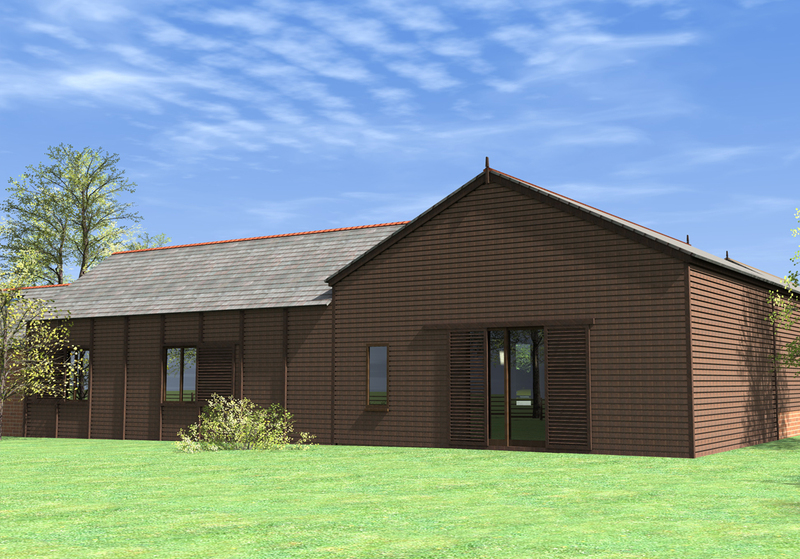 The proposal is to refurbish the existing ancillary buildings at the farm to provide C3 use residential accommodation with associated car parking and external amenity space. 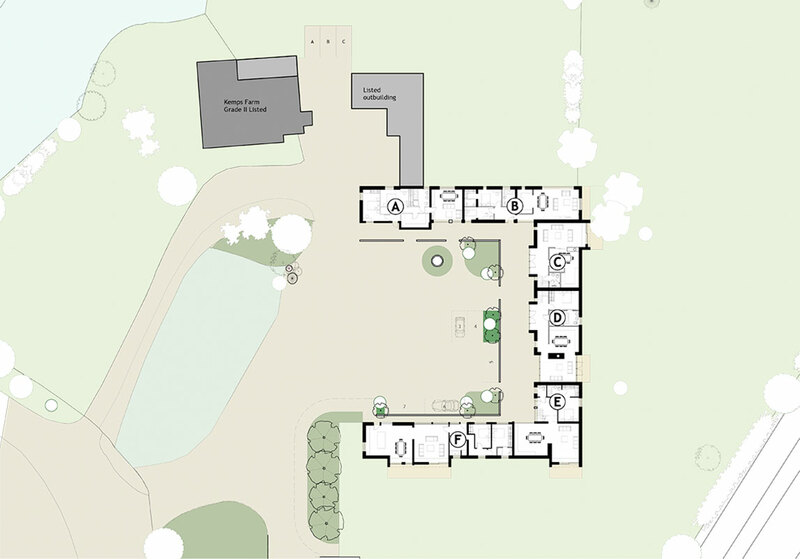 By focusing on creating an intimate courtyard scheme the potential to provide amenity and open space to the east of the site enhances the nature of inward looking proposal that effectively hides any evidence of residential development within it. It is proposed that this area between the site and the road is maintained as meadowland and kept free of any domestic ‘garden’ influences. 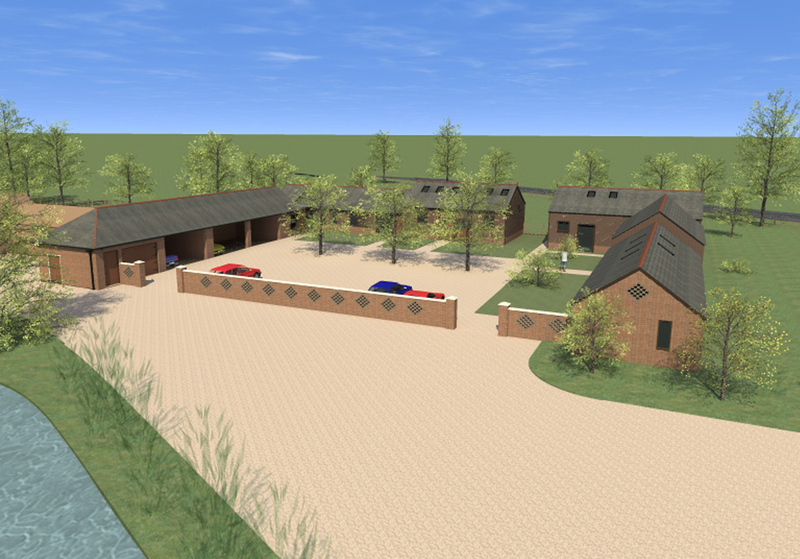 The proposals include 7 new dwellings all of which will be Lifetime Homes compliant. 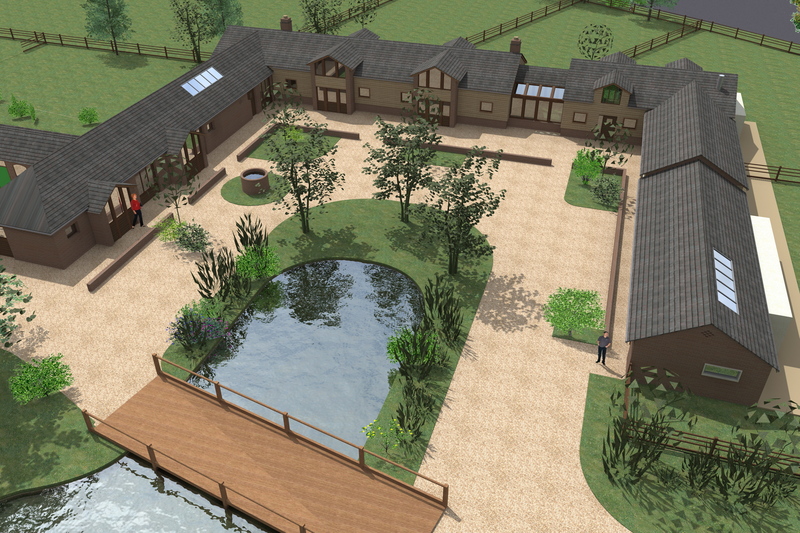 The setting of Kemps Farm is within the green belt. 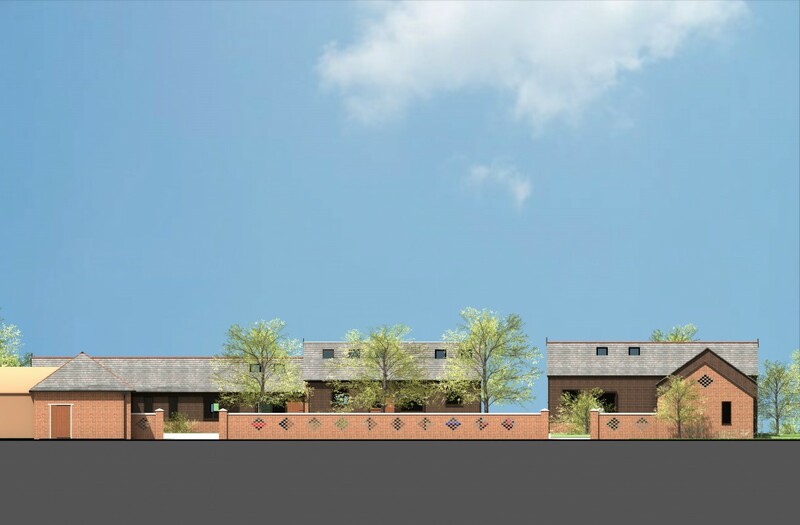 One of the key elements of this proposal is to enhance the setting of the existing listed farmhouse and tidy the currently unsightly collection of buildings at the site.